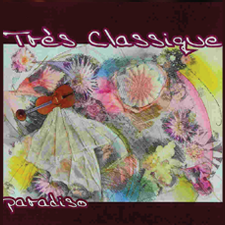 ‘Tres Classique are a stylish, professional ensemble that create live background music for corporate events, private functions, weddings, parties and all special occasions. Elegant, sophisticated and versatile, they fuse classical instruments with popular and contemporary styles, performing music from a diverse and extensive repertoire ranging from Bach to the Black Eyed Peas’. Tres Classique is Perth’s premier wedding and special events classical music group. Tres Classique has been setting the industry standard in both the corporate and private sectors with its combination of high quality classical musical performance and elegant and professional presentation in Perth and nationally. Tres Classique have built a well-deserved reputation for professionalism and musical excellence, developing strong relationships with our individual and corporate clients. Tres Classique are experienced at providing quality background music for events ranging from Product Launches for corporate clients such as Linneys & Willie Creek Pearls, to dinner receptions for MP’s at Parliament House, to intimate weddings and grand celebrations in venues such as the Pan Pacific, Hyatt Regency, Duxton, and Parmelia Hilton Hotels, Burswood Crown Casino, Perth Convention and Entertainment Centre, to performing on stage in front of HRH Prince Charles at Government House. Tres Classique have also been on stage with renowned artists such as Anthony Warlow, Rod Stewart, Delta Goodrem, Olivia Newton-John, John Farnham, James Reyne, Suzie Mathers, Diana Krall, Lisa McCune, Teddy Tahu Rhodes, Il Divo, Marina Prior, David Hobson, Russell Watson and the Cheiftans. As a group and as individuals, Tres Classique have already achieved great things, recording at the ABC Studios and performing in the most prominent venues throughout the state.